We can all see and feel the change in temperature, the change in the trees, the change in the light. Our bodies are our internal environment, reflecting and harmonizing the changes of the earth and the seasons. Eating with the seasons is a smart way to keep our bodies in the best of health. When you eat what is seasonal in your location you strengthen your body’s immune system, you give your body the foods that are most healing for it’s digestion and nourishment and you create balance and harmony that manifests in your body and in your life. 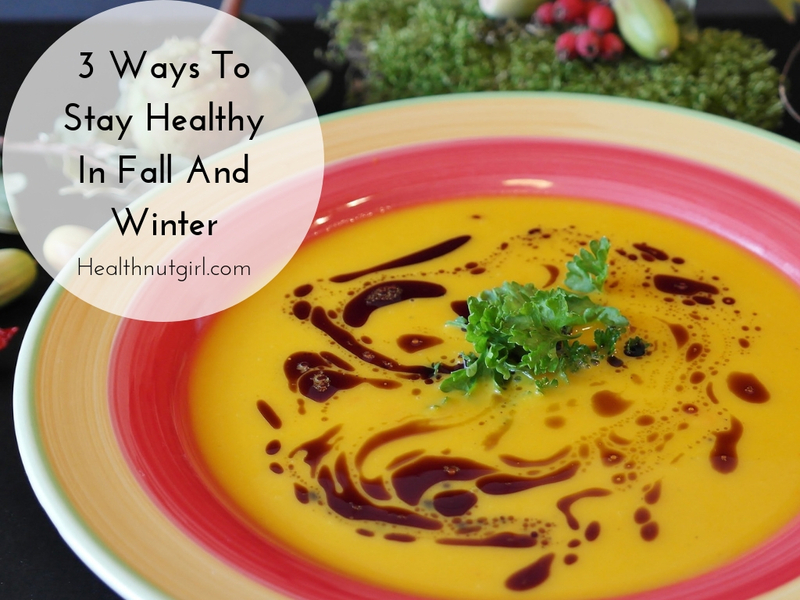 Here are 3 easy ways to adjust to the cold seasons of fall and winter. I recommend to make it a gradual change that starts as you start feeling the chill in the air and deepens as you go into winter. Gradually decrease the amount of raw foods you eat like salads and increase the amount of cooked foods you eat like stir fries, baked and roasted vegetables, soups and stews. Slow cooking and low heat baking is very appropriate as the weather gets cold. Use more root vegetables like parsnips, sweet potatoes, beets carrots and rutabaga. Don’t forget that greens are important all year long so use hardy winter greens like kale, mustard and collard greens. Use more oil and salt in the cold seasons, they help preserve body heat and keep you warm. This Ayurvedic practice is wonderful to create balance, heal fatigue, improve circulation and promote relaxation and healing on all levels. After your massage, rest for a few moments and then take a hot shower or hot bath. This practice will also help you practice body love, as you massage each part of your body send it a thought of appreciation and love. So many people make the mistake of starting a cleanse in January (New Year Resolution!) that is not appropriate for the cold season and then wonder why it’s not working. 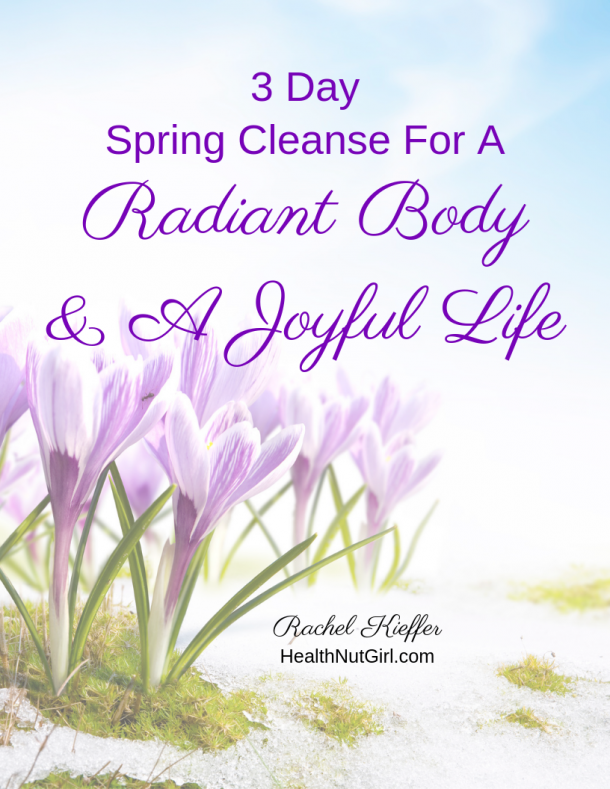 What most people think of as a cleanse, like juicing, green drinks, sprouting and raw vegetables is more appropriate for a Spring cleanse but doesn’t really work in other seasons. 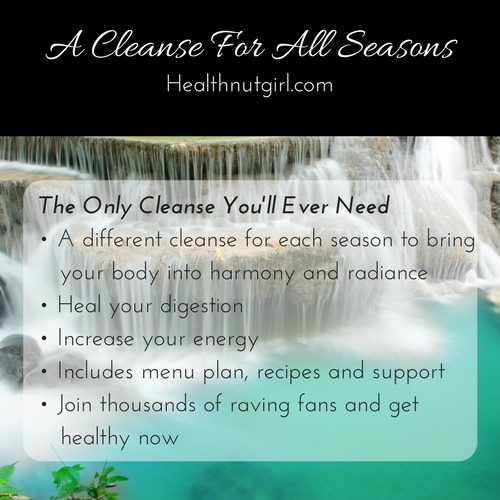 Also, every cleanse needs to have a balance of cleansing and nourishment that looks different at each seasons. • Star your day with a hot cup of vegetable broth. To make broth place cut up veggies (onions, carrots, celery, broccoli, garlic, parsley…) in a pot, cover with water, add a piece of Kombu seaweed (high in nutrients and minerals) and simmer on low heat for 1-2 hours. Drain, season with salt and pepper and drink. • Avoid all animal proteins for the day. Make meals with whole grains, beans and plenty of vegetables. • Drink a cup of warm water with 1 tablespoon of apple cider vinegar and a teaspoon of raw honey mixed in before every meal. To follow a full seasonal cleanse, including menu plan and recipes, you can download my Cleanse For All Seasons. Which one of those suggestions are you going to try? Once again, this blog post is an autumnal home run, Rachel! “start your day with a hot cup of vegetable broth. (I’m using miso now) To make broth place cut up veggies (onions, carrots, celery, broccoli, garlic, parsley…) in a pot, cover with water, add a piece of Kombu seaweed” and “I like to use organic almond massage oil.” Almond oil is on my shopping list for today’s trip to the health food store Perfect timing. Glad the timing is perfect and enjoy your almond oil massage. I love all three of these ideas Rachel but I am going to add in the hot oil massage today. I was doing this regularly but got out of the habit and so I will invite in this nurturing practice. I love the idea it will support my body love and will be uplifting and nurturing. Thank you for sharing your wisdom and insights! My pleasure Kelley, enjoy this nurturing practice and your body deserve every ounce of body love! Thank you. Such wonderful tips. I love doing a hot oil massage w lavender. I love all 3 ideas, Rachel, but am especially drawn to the hot oil massage. I’m presently detoxing with seasonal fruits and mugs of Kashmiri Kawa. I think that warm oil massage is calling my name! Sounds lovely! You offer some really nice advice on what foods to focus on in the cold season. The video you shared is really inspiring. I use a lot of oil on my body simply because of dry skin and this really kicks it up a notch – a big, beautiful notch! Thank you very much! I really like your suggestions here Rachel! I have really noticed that yogurt and blueberries hasn’t been very satisfying for me in the morning recently. Yesterday, when I went to the grocery store, something made me walk down the cereal isle–Behold, after about 8 moths, they began carrying quinoa flake hot cereal again!!! Yes, I had that with coconut milk and a cut up apple for breakfast this morning–yummy!!!! Wonderful ideas. I have had a taste for hot soup lately and more hot tea. That vegetable broth sounds great. I used to do that in the past. I also had my apple cider vinegar today with spoonful of honey. I’m so relaxed from watching the hot oil massage video that I’m at a loss for words. Well, almost. I love your insightful information and the way you align us into a state of better health. I started baking root vegetables (versus eating fresh) when the area I was in experienced a cold snap. I purchased a small crock pot that fits perfectly on the camper counter top for chili and soups. There’s nothing better than homemade soups on a chilly day.